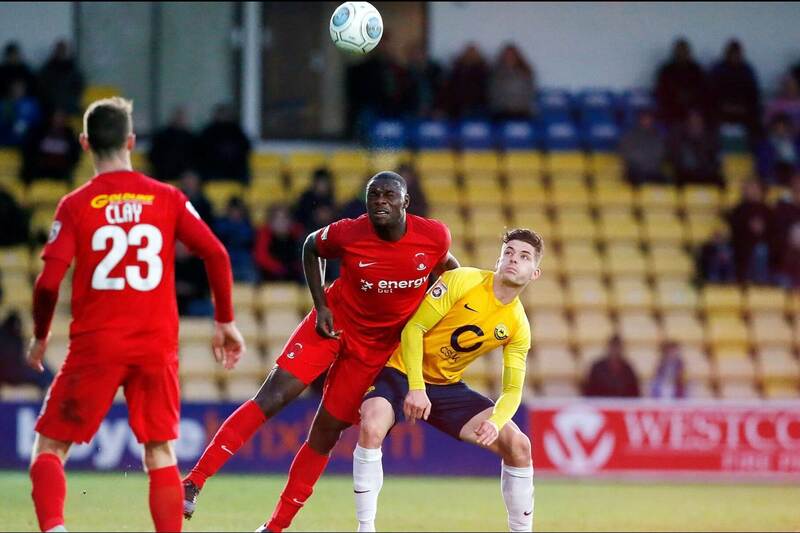 A bottle of the table clash between two of the bottom five saw Torquay thump Leyton Orient 3-0 as ten man Orient had Jake Caprice sent off. On a chastening day for the visitors they saw the basement teams close up on them and leave the O’s in a perilous position. The game was done and dusted by the half hour mark with the Devon team in a terrible position themselves in the National League showing real mettle to lead 2-0 and sink the east Londoners. Torquay ran riot from the off playing some scintillating football that was far too superior to anything the O’s could muster. I am sure the O’s will come out with their tails wagging fr the next match and look at the realities of their current position in the table still one place off the relegation zone. An attendance of 1,913 saw the O’s bring 316 fans to the game and each will have been disappointed with their teams performance but looking on the bright side it was a decent game as Torquay played some wonderful neat attacking football from the back and look like a team destined to break out of the bottom 4 sooner rather than later. Leyton Orient played OK but were no match for the home teams passion and endeavour throughout the full 90 minutes. I’m sure O’s coach Ross Embleton and the team will learn from this walloping and will look to make amends next Saturday in the crucial crunch game with fellow bottom 5 team Solihull Moors. They will no doubt put their thinking caps on and come out of the traps next week having learnt a number of lessons from the way in which Torquay approached todays game. Still without a National League win since September 2nd, a run stretching now to 14 games Ross Embleton chose Grainger over Sargeant in the goalkeeping position in his starting line up. Torquay started the game with only 3 league wins all seasons but they showed tremendous character and came out all guns blazing to destroy the O’s with fast measured football. After only 15 minutes, hard work from the home team paid off. 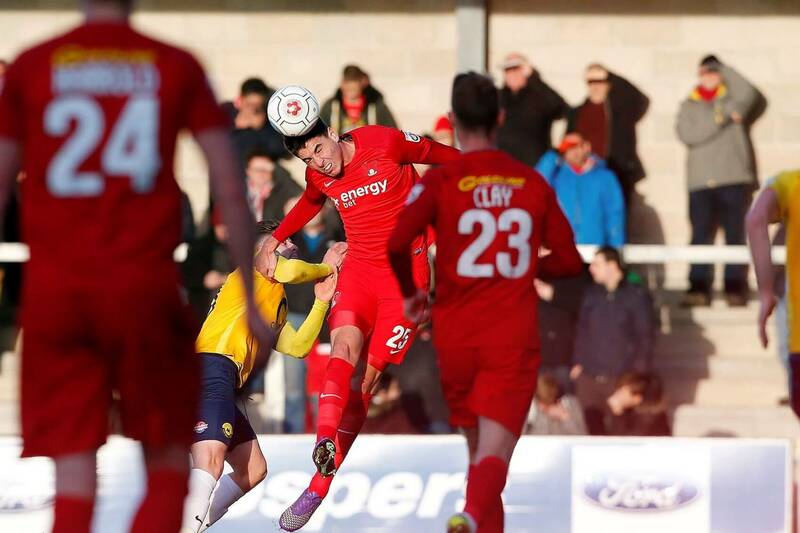 Orient’s Craig Clay was forced into a mistake in possession and Ruairi Keating was onto the ball in a flash and Josh McQuoid compounded Orient’s current problems with a smart finish at Plainmoor, courtesy of a fine cross by Keating to put the Devon outfit into the lead. This was only the second goal for the club from McQuoid. The London side looked all fingers and thumbs at the back, and when Davis was fouled on United’s left, Young dropped the free-kick at the near post and McQuoid headed narrowly past the post. However Torquay dominance was to provide a second goal after only 29 minutes of the game played. United pounced on another Orient mistake, and Young spotted space to attack the retreating O’s defence. Young ran with the ball and teed up a strike, taking aim from 25 yards and driving a perfectly placed shot low to the left of diving goalkeeper Charlie Grainger to make it 2-0. Orient were all at sea on the Devon coast and we hadn’t reached the 30 minute mark. One minute later O’s keeper Grainger had to pull out a fine save at the near post from left wing-back Davis, after a good move between McQuoid and Jamie Reid. Seven minutes before the break and Orient had their first chance of the game. James Dayton shot past Vincent Dorel and into the net, alas referee Carl Brook ruled the effort offside. 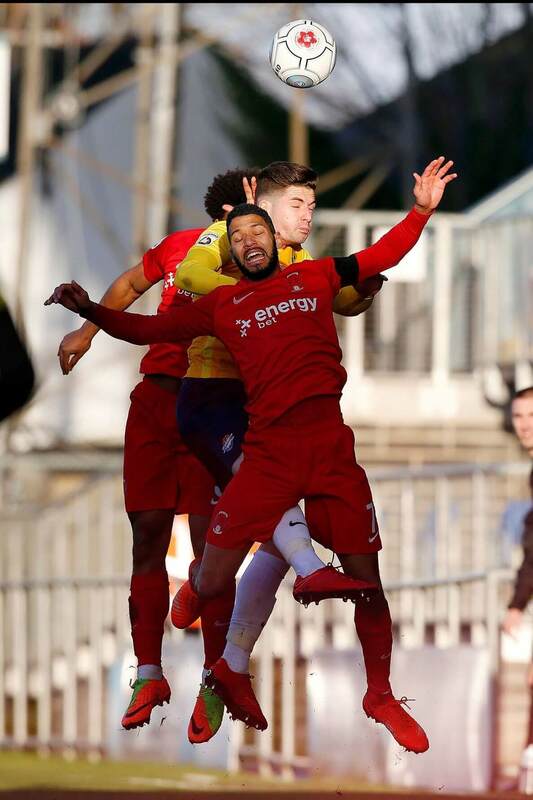 Orient keeper Grainger was hurt just before the interval, and he was replaced by Sam Sergeant at the start of the second half, along with Zain Westbrooke, who made way for striker Romo Boco as Embleton played his hand at trying to bring the O’s back into the match. Jamie Reid extended the lead just after the break after a visiting attack broke down and the dismal day was complete for the Brisbane Road club when Jake Caprice was instantly sent off for a wild late challenge on Damon Lathrope. I’m sure if the O’s can show the kind of resolve shown by Torquay today then the O’s will be back to winning ways in no time. Fancy a bet on Leyton Orient then why not checkout the this link.